Come one, come all intrepid ecologists in the making! 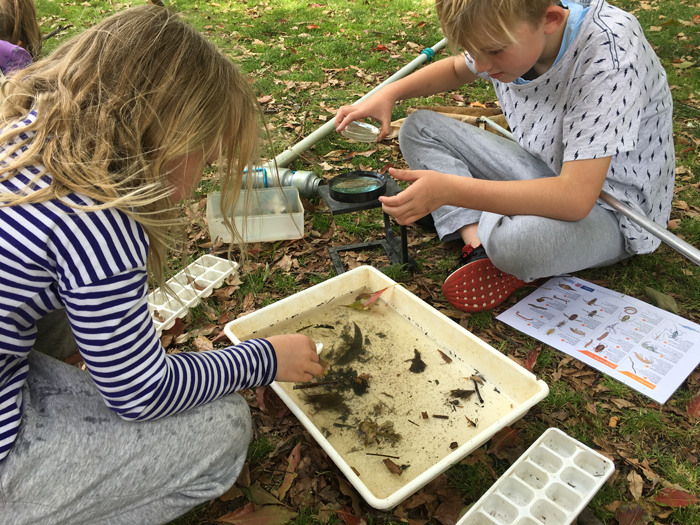 Discover the complex ecosystems teeming within the Queen Victoria Gardens in this plantastic opportunity to connect with nature and the many critters within. Join experienced Bug Blitz presenters Erin Nowak and Esther Lloyd and Danielle von der Borch from Chamber Made as they lead an exploration of the ponds with nets and microscopes, make music based on bug sounds, and guide you in the creation of Earth Balls and leaf press tiles—take a little nature home with you!